Sighting of the upcoming Intel Pentium Gold G5620 has been seen at several online retailers, a dual-core, four-thread processor. What’s interesting about it is that it clocks at 4.0GHz, the first Intel Pentium processor with such speeds. 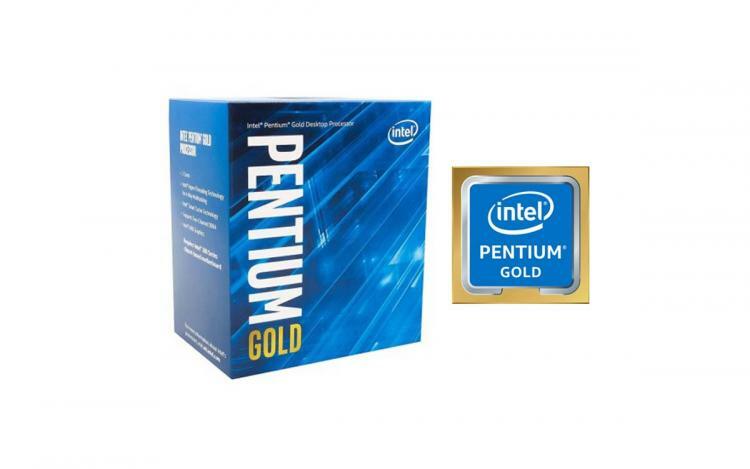 Intel Pentium Gold G5620, with part number BX80684G5620, has already showed up in several online stores in Europe. The Pentium Gold G5620 processor packs 256KB of L2 cache per core and 4MB of shared L3 cache. It sports the Intel UHD Graphics 630 integrated GPU. The Pentium Gold G5620 is one of the seven budget-tier processors Intel will be released soon along with other Pentium Gold and Celeron SKUs. These processors are expected to be available by March 2019. 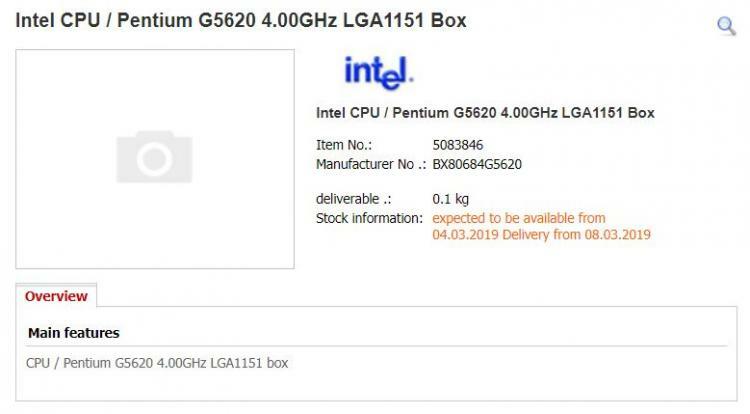 A German online retailer and Finnish online store Futureport lists the Intel Pentium Gold G5620 and suggests launch date or availability would be in the 4th of March, 2019. No pricing information as of this writing but the Intel Pentium Gold G5620 4GHz processor is expected to be around the $100 USD range.